Point on point construction teams up with drop stitching to add extra strength and carved look to the rugs in Charisma Collection. These casual and contemporary rugs will make any room look great. Made of olefin in Turkey. Rugs in this collection are long lasting and easy to care. Located in Georgia, Tayse has been manufacturing and importing machine made area rugs and shags since 2005. Growing rapidly, this family business is now admired and established in the industry. Bold beautiful designs, rich radiant color schemes, and a variety of shapes and sizes makes this extensive line a customers dream. 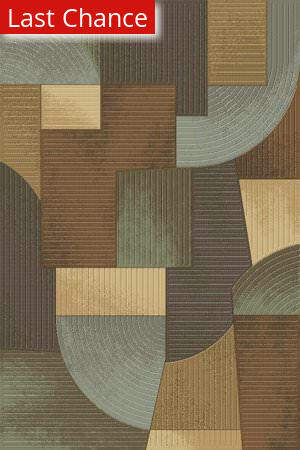 Additionally, they’ve added all-weather rugs to their line, which are perfect for high traffic areas and outdoor spaces. If you’re looking for an area rug, anything from contemporary to traditional, you’ll want to check out the quality and affordable selection of Tayse Rugs. With free shipping, no tax, 30-day return policy, you simply can’t go wrong. All Tayse rugs (including Freight) ship for FREE within the contiguous United States. We do not charge a restocking fee for any returnable Tayse rugs. We do not charge sales tax for Tayse rugs.